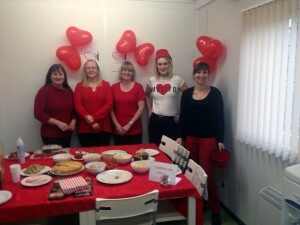 HW Martin Waste Ltd and Premier Waste Recycling Ltd joined offices, groups, schools and individuals up and down the UK on 6th February, to support the British Heart Foundation and Leeds Hospital’s Children’s Heart Surgery Fund “Wear Red Day”. The event raised awareness of the needs of patients with heart and circulatory disease and related illnesses. The BHF and the CHSF work tirelessly to provide people with the care and support they need, whilst highlighting the fantastic developments in therapy that specialists give day in, day out all year round. Our staff based in Derbyshire, Yorkshire and Durham helped raise awareness AND funds. With everyone wearing something red – either head to toe or just a tie! 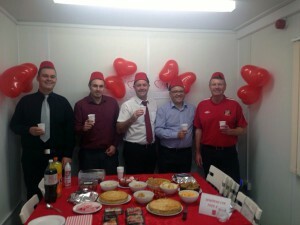 – and with their generous contributions the company raised over £450. This included a kind donation from Chesterfield-based Hopkinson Waste Management. Since 1988 Leeds-based CHSF has served Yorkshire, Humber and North Lincolnshire through its support of the Leeds Congenital Hearts service. The organisation provides vital equipment, training to specialist staff, family accommodation, ward facilities and research.